Ahead of the big MWC 2019 event in Europe, Oppo has taken part in an event in China where it showcased a smartphone design featuring a "10x zoom camera". I've put that claim in quotes as it isn't exactly a traditional way of describing a 10x zoom, but overall that is what is on offer. In brief, the rear camera array consists of three camera units; a very wide angle camera, a 'regular' one, and a 5x zoom camera. In all, the array spans the 35mm equivalent of a 15.9-159mm focal length - thus the "10x zoom". As GSM Arena reports, the China event was a tease, as there was no actual smartphone with the above camera technology revealed. Oppo promised further details, including sample devices, would be on show at MWC, with shipping products expected later in 2019. In GSM Arean's database the new Oppo device easily eclipses the Huawei Mate 20 Pro triple camera effort, a previous champ, which zooms from 16-80mm in 35mm terms. 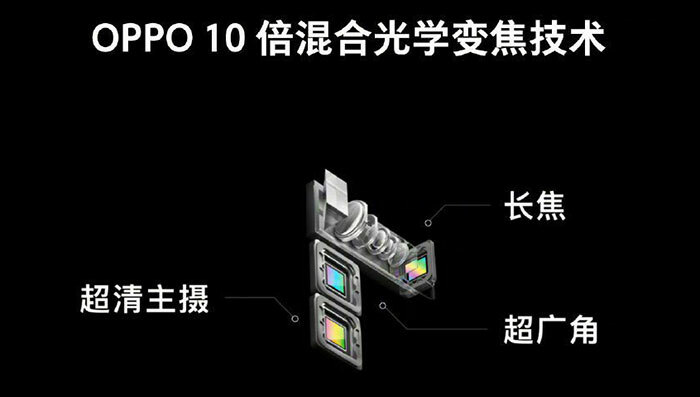 Some other details about the camera units are that Oppo will leverage dual-OIS image stabilization for the main camera and the telephoto lens. OIS is particularly useful at longer focal lengths where physically holding the smartphone/camera steady is difficult - small hand movements/shakes are accentuated by the level of zoom. 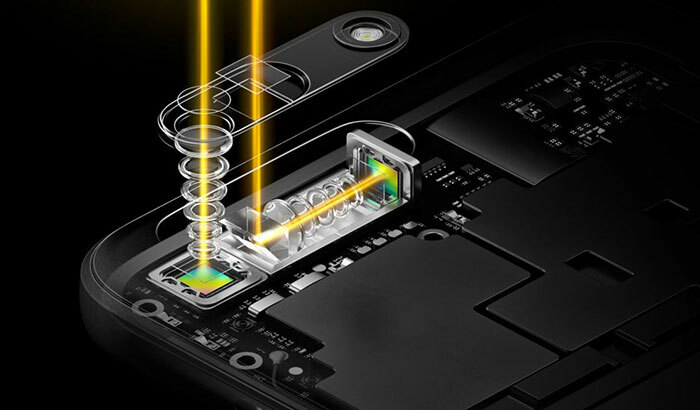 Readers might worry about the fragility of the pocketable long zoom camera, but Oppo says it has drop tested it 28,000 times. Should anyone try and copy Oppo's compact lens array design too closely it is protected by over 100+ R&D patents. As well as its camera tech, Oppo was keen to show off a new under-display fingerprint scanner in China. 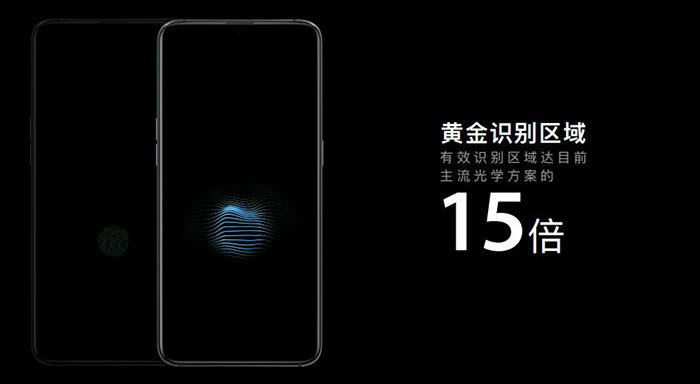 Similar to a recent effort by Xiaomi, the new sensor is said to be 15x larger than the one in the Oppo R17, and thus easier to instinctively locate. Interestingly, it can read two fingers at once. Again, end users will have to wait until later in 2019 for commercial availability but it might be on demo at the MWC in Feb. The MWC Barcelona 2019 runs from Monday 25th to Thursday 28th Feb.
Should anyone try and copy Oppo's compact lens array design too closely it is protected by over 100+ R&D patents. Chinese companies don't respect patents from western companies, so why should western companies respect Chinese companies patents it's only fair right, they probably ripped it off an existing design concept anyway. Looks like they've gone extremely short focal length on the wide angle side so the 10x zoom is not actually so impressive at 160mm full frame equivalent, but still handy. I can't begin to imagine what the distortion is like, however I guess the current paradigm is to embrace distortion and correct in software rather than adding corrective optics.